WhatsApp has already taken several steps to combat misinformation on its platform. And now, the messaging service is going to conduct training classes at specific locations in a bid to spread awareness about the menace of fake news. Reportedly, WhatsApp will partner with Delhi-based non-profit Digital Empowerment Foundation (DEF) to provide these classes. WhatsApp, in partnership with DEF, will conduct around 40 training sessions across 10 Indian states in areas that it regards are prone to the spread of fake news and fake forwards. DEF, reportedly, would use its 30,000-strong community for teaching too. Notably, these areas would also include some zones where state polls are slated to be held before the end of this year. The training sessions will be aimed at educating Indians about the difference between facts and opinions. In addition, locals will be taught how to conduct simple checks to test authenticity before forwarding a text or any kind of media. Furthermore, DEF also plans to use students, administration representatives, and government officials to spread awareness via word of mouth. "We at WhatsApp and DEF hope these training workshops will help build an empathetic and conscious community of WhatsApp users who learn to respond rather than react to every message they receive," said DEF's founder and director, Osama Manzar. The move comes right after WhatsApp announced that it was rolling out radio campaigns in India to raise awareness against fake news. The campaigns, which start today, will be aired on 46 Hindi radio stations of All India Radio (AIR) across the states of Bihar, Jharkhand, Madhya Pradesh, Rajasthan, Uttar Pradesh, and Uttarakhand. Campaigns in regional languages will be rolled out soon too. Notably, these moves come on the back of WhatsApp CEO Chris Daniels meeting Union Minister Ravi Shankar Prasad regarding the menace of fake news in the country. 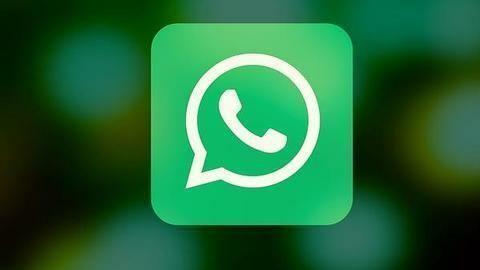 However, while WhatsApp has added several features on its platform to combat the menace, the messaging company has replied with a firm "NO" to India's request of adding the capability to trace messages.